Are you searching for a Cooperstown professional photographer for an assignment you need completed? Well you have found one of the most experienced and productive Cooperstown professional photographers if you need the type of photography that businesses, corporations, event planners, advertising agencies, public relations firms and designers need. As an added bonus, you have found a hard working Cooperstown editorial photographer who works extensively for magazines, trade publications and business publication groups. A unique professional photographer in Cooperstown. Summarizing my position in the general photography marketplace: I am Cooperstown professional photographer who primarily serves the corporate and editorial photography marketplaces. A case study of this editorial photo for a trade magazine near Cooperstown. This photo represents a very common type of assignment which requires the skills of a professional photographer in Cooperstown. And that is a shoot for a trade magazine. Trade magazines or business publications are magazines which cater to and are primarily distributed to a tightly defined sector of the business world. They may focus on a certain industry or a particular service. Their distribution isn’t huge. But it is often focused very tightly on a market segment … that is extremely valuable to advertisers. And sometimes there are specific aspects I need focus on for the magazine. Other times a magazine will offer a broad outline giving me some idea of the coverage they want. Then it is up to me to distill the story from what I see when I arrive on site for a shoot day. This was broad general coverage that the magazine client wanted. They were a typical trade magazine client, one that was owned by a larger business publishing group. That’s important because it means I’m dealing with an editor or an art director or photography editor who has several magazines going into production, all in a finely tuned and interlocking schedule. They are busy and don’t have time to coddle a photographer or to deal with lots of changes and mistakes. 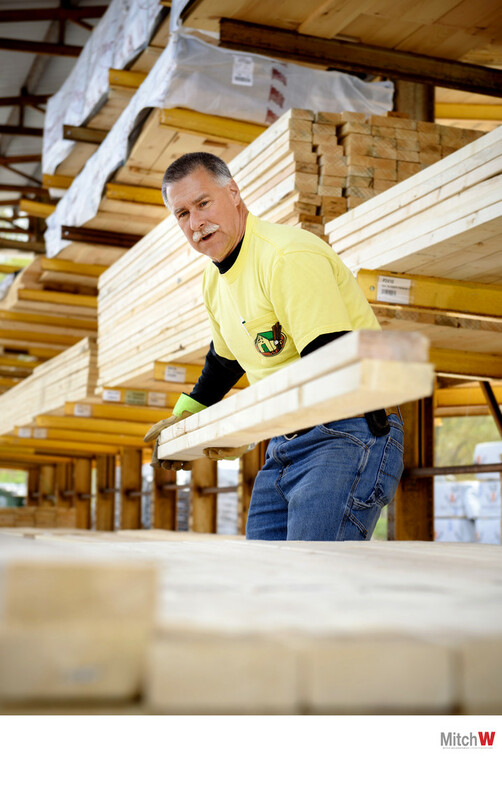 They need the work done when they need it done, regardless of the challenges found out in the field. The printing press waits for no one person. And if it has to wait, that means money is lost. 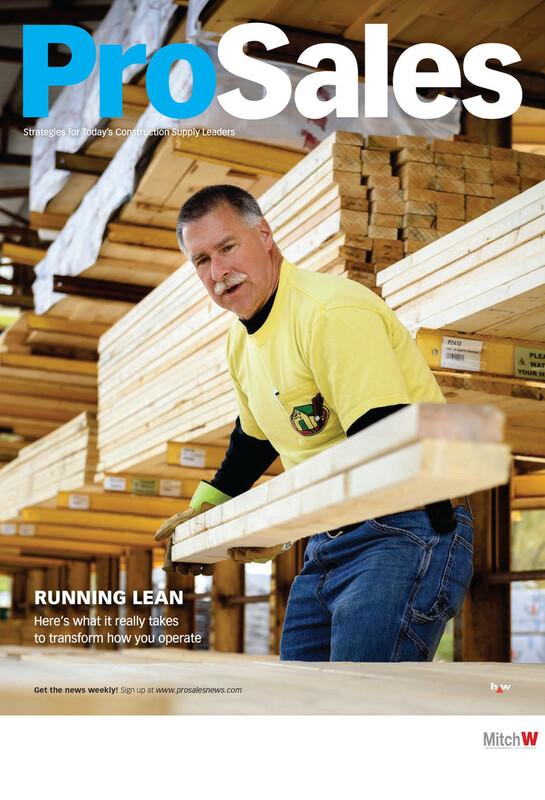 So the brief was to get great general coverage for this magazine which specializes in the commercial lumber industry. There also was the requirement to keep an eye out for any situation where I could create a potential cover image. And that means leaving space around an image in a certain way that will allow for that specific magazine’s cover information to be placed around the image. The brief also included several specific things that the editor wanted to show. So I had to document those. But over all, the goal was for me to find the situations. To work with the staff who were hard at work. To create as much as possible from the time I had on site which was partly governed by a working business that needed to keep working. In the end, the client was very happy with the wide variety of material that I created for them. They ultimately chose this image as the cover for that edition of the magazine. But clients have ranked me among the best in this region of New York State because I offer a photographic style that is different. A business centric focus to my work that serves a sector of the marketplace and not just a wide scatter-gun sector of the photography marketplace. I have a way of working, and a work ethic, bred from a couple of decades as a full time photojournalist that sets me apart. And I do believe I’m among the best at figuring out then understanding a client’s needs. At mining the potential a location or situation has. At finding the things that are fun, exciting, cool to look at or tell the story from any location I travel to or from every person I cross paths with. What I do might not be right for everyone. But for the people to whom my work fits, I’m sure I can make some great images for you. Please call me at 1 (518) 843-0414.